Everyone knows that the Rackers Equipment Co. is the place to go for all of your heavy-duty equipment needs, but did you also know about our famous Furukawa Drill School? That’s right. Hosted by Rackers Equipment and our Furukawa technicians, the school is an excellent source for all drillers, new and experienced alike. Located in Jefferson City, Missouri, the three-day training school includes lessons and tutorials for trainees on the basics of drill repairs, schematics and typical hammer seals, among other important subjects. This is a great class for companies that are looking to increase the productivity of their employees by having a trained technician available to handle any minor breakdowns or required maintenance on the job site. When your employees are equipped with additional skills, you can minimize the downtime on your projects significantly reduced. That also means an improved level of productivity and a more cost-effective workforce for owners. Ideal for drillers, mechanics and other maintenance and engineering professionals, the Furukawa technicians at Rackers Equipment also give excellent troubleshooting and maintenance procedures that will make managing drilling equipment failures or hiccups easy to solve. And the perks don’t stop there. To ensure that your learning experience remains an enjoyable one, we also cater lunch each day from some of the town’s finest eateries and restaurants. The best part is that this incredible training experience comes at no cost to you. 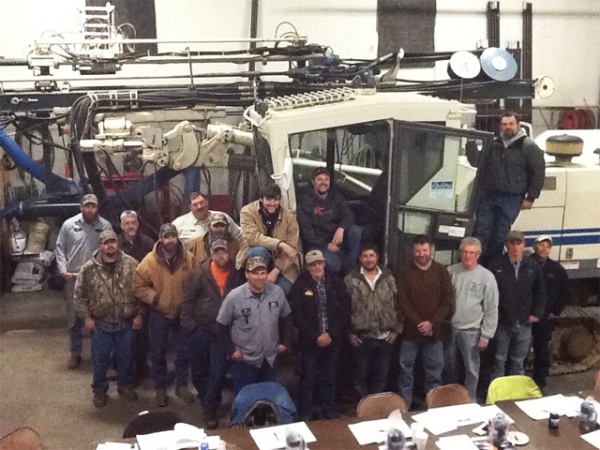 We have had countless satisfied students participate in our classes and learn how to keep equipment running smoothly. If you are looking for training on a new process or just want a quick refresher course, the Furukawa Drill School is for you. To sign up or learn more about this year’s training program, call Rackers Equipment today at 573-635-8700.